On 2nd February 2018 the president of Yamaha Motor Company Mr Yoshihiro Hidaka, made a speech regarding the development of new three-wheeler models. When he did so the slides that were shown only depicted a silhouette, so we will try to predict what kind of a model it might turn out to be. Will it appear at the 2019 Tokyo Motor Show? 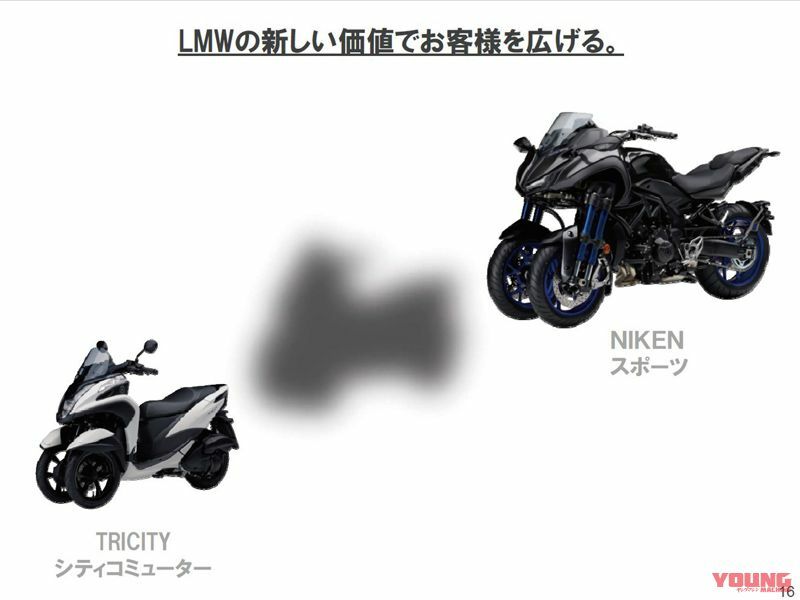 In the screen projected during the speech by president of Yamaha Mr Hidaka, there was a hint of a model in-between the Tricity and Niken models. So we reckon that it will likely be announced at the 2019 Tokyo Motor Show with a spec of middle-weight class dimensions. Could the XMAX be a vision for worldwide development?! Here at Young Machine we predict that the next version of the LMW will be a middle-weight scooter. Previously we had information about testing of the TMAX as a three-wheeler, but if it is based on the XMAX then it wouldn’t be just for the European, American and Japanese markets, but would also cater for the wider needs of other Asian countries. Also, by making a LMW series based on the VMAX, there is the advantage of being able to develop them into various sizes from 250cc, 300cc, to 400cc. And lastly, because it’s fitted with traction control the implementation of developing a bike that doesn’t fall over is drawing ever nearer. The bike on the left is the XMAX250 that is sold domestically in Japan, and the bike on right is a CG created by us. Because it’s a scooter, it is named the Tricity 250. 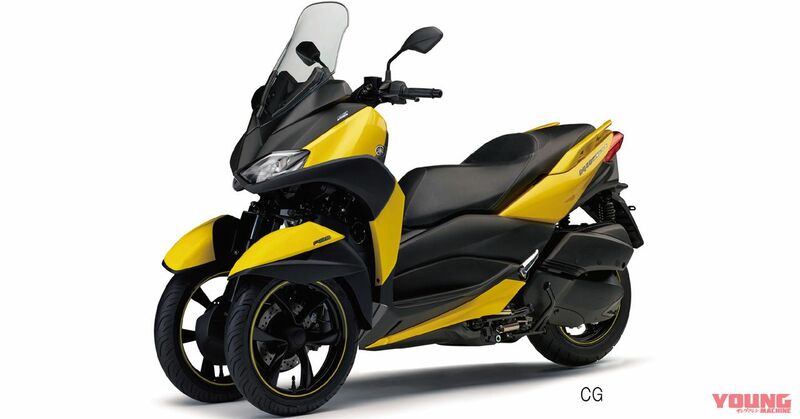 For the global model of the XMAX series that is produced in various places such as Indonesia, it uses the same body with a variety of engine sizes from 125cc – 400cc.